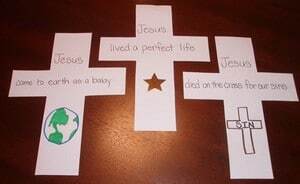 Cross Shape Book Craft – Get them hands-on with the Gospel with this Lesson / Craft combination. 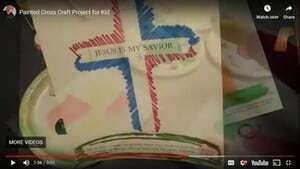 Painted Cross Template & Video Example – Protect a portion of the paper with masking tape as the children painted around it. Once dry, we removed the masking tape to reveal the shape of a cross. 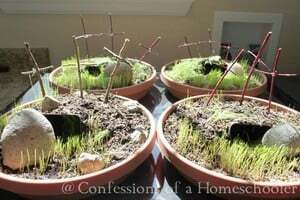 Easter Garden with Empty Tomb (Offsite Link) Beautiful idea and tutorial from Confessions of a Homeschooler. 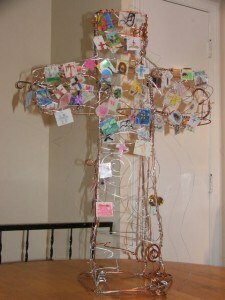 Easter Morning Cross (Offsite Link) We loved this simple idea from Godly Ladies blog. 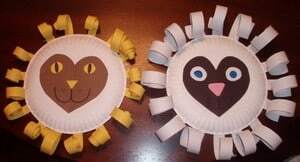 Lion & the Lamb – The idea is to make two faces with paper plates, a lion and a lamb. 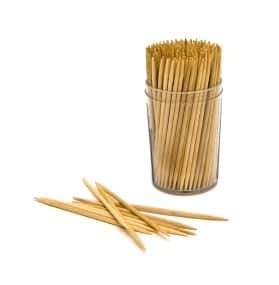 Then you attach them back to back. Easter Morning Biscuits (Offsite Link) I love edible activities like this. Found this great tutorial on another blog and had to share. 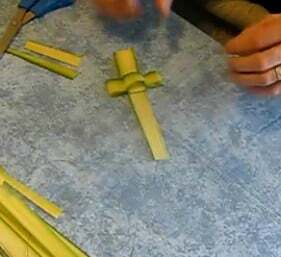 How To Fold Palm Crosses (Video Explanations) – This one is a little tricky but with for older kids this is an awesome choice. Sorry…. I couldn’t stop at 10 but didn’t want to rename the page! 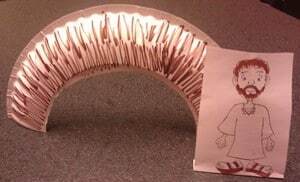 Creative Art Project (Offsite Link) This shrinky dink idea is from the Sojourn Kids blog an requires 45 minutes. 2 Quick Crafts for Easter – Ideal for last minute preparation. Keep your craft simple. 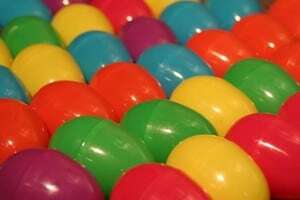 Remember the larger number of kids at church on Easter will make leading the craft more complicated. 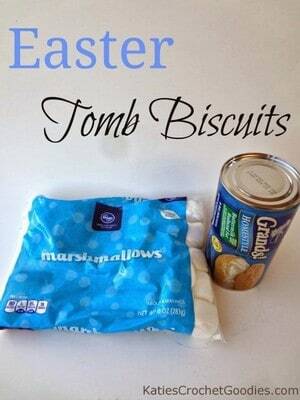 So keep your Easter craft ideas simple. If you use printable, be sure to have extra for guests. This will be a high attendance day in most churches and Sunday schools. Print enough crafts or coloring sheets for every child. Find crafts for toddlers, preschoolers and younger children also. These simple crafts can make the best keepsakes for parents. Don’t leave out the little ones! If needed, simplify the craft or prepare part of the project before the kids arrive. 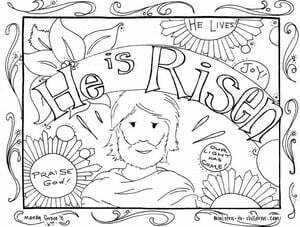 If you choose a non-religious craft, include a simple Bible verse about Jesus. Sometimes traditional Easter crafts get wrapped up in the Easter bunny and Easter eggs. 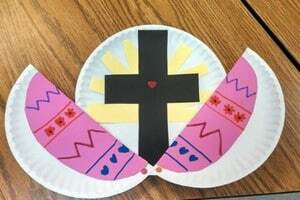 Adding a simple Christ-centered Bible verse about Easter can remind parents and kids of the spiritual truth behind the Easter crafts.